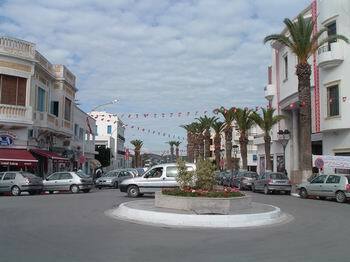 La Marsa is the most northern of the sea side suburbs of Tunisia, and is frequented mainly by Tunisians and by diplomats and expatriates living in Tunisia. 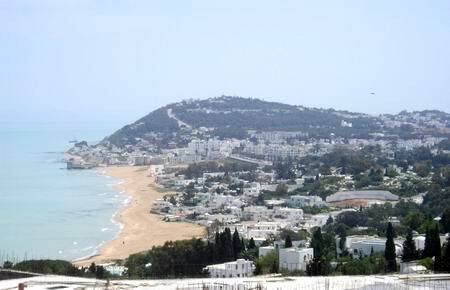 La Marsa is the number one place for the higher upper middle class when they go for a chic summer address. The reason for this is easy to understand when you’re down on the beach looking up at all the nice white houses that lie among the green trees of the soft ridge running parallel to the wide beach. 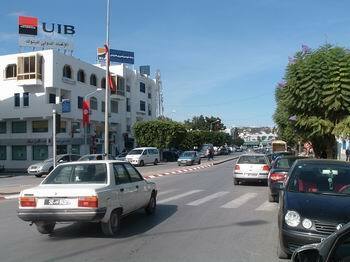 The small centre of La Marsa (*) is packed with young Tunisians on the weekends and it is quite charming. The lively white and blue facades of small family houses ,enriched by finely inlaid wooden balconies is the charm envied by sprawling suburbs of European or American cities. 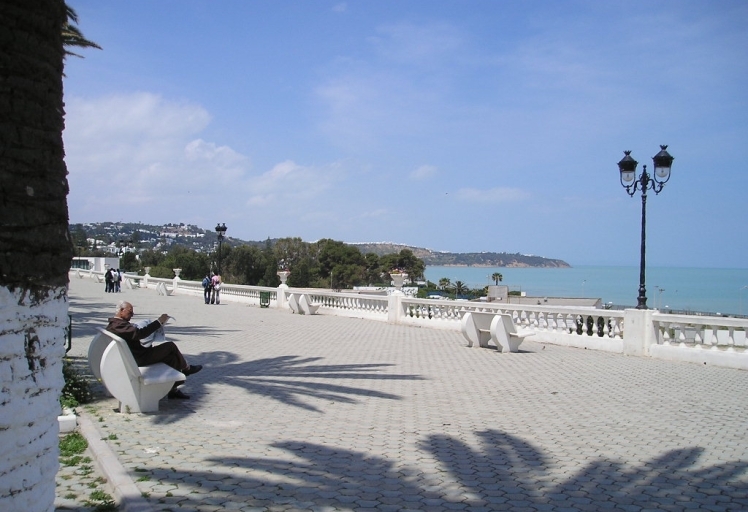 The most famous city is neighbouring Sidi Bou Said, crowded by hundreds of buses loaded by hit & run orgnaized tours, but in La Marsa you can relax and enjoy the hospitality of unspoilt neighbours who might even invite you in local festivities like marriages and circumcisions. You can experience the visit of gentle street vendors with donkey driven carts offering prickly pears or fresh fish or the sadness of older men collecting hardened bread leftovers from house to house to feed the cattle in the country side. All this in great security and respect for your privacy. There are many first class restaurants and some cheap ones too. A nice but expensive one is “Le Golfe” on the street to Gammarth (around 50 Tunisian dinars). Our favorite is "Dar Tej" on the left hand side of Zephyr shopping centre, around 40 dinars, but for only 12 dinars, at lunch time, in Marsa Ville ask for “Ya Bon” and you get spaghetti or rice Tunisian style and the most delicious fish (daurade or loup) grilled in front of you. The best place for sandwiches is "Baguette" and for hefty but less sohisticated one, at half price, is "Salem" (beware of hot “harissa” sauce) , almost in front of theTGM station. The most colourful pastime is watching people stroll the "Belvedere" till late at night, especially during the summer months. There is a posh discotheque in Marsa Corniche at Plaza Hotel and many more discos and nightclubs for the young crowd in Gammarth. Airport, Banks, ATMs, Post Office and (less convenient)at the receptions desks in hotels. The best way of getting to Sidi Bou Said, Carthage, Salambo, La Goulette , is by the local train, called TGM. It runs every 15 minutes at peak hours. 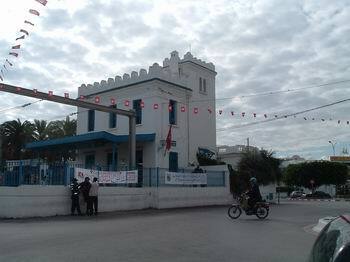 The good thing about La Marsa is that it is the first station on the linee, so you have a good chance of getting a seat. After Sidi Bou Said, the train often gets crowded. For Tunis center it is better to travel by "Bus vert" for 1,300 Dinars and now also by sharing a taxi van for some fixed itinerary for one dinar.